96 Dream is a brand new wired ribbon style. It is available in 42 stunning colors and 3 widths. 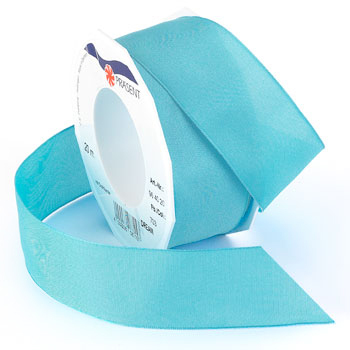 This fabulous new ribbon has a very soft hand, and wired edges for fashioning bows and decorations. It has a matte finish to match new interior design trends. Made with 100% Polyester yarn, it is both colorfast and washable, to brighten your home decor, craft, wedding or floral endeavors. The exciting colors are fashion-forward and compliment today's color palette.